Built in the 2nd century BC, on the south side of the Theatre Harbour, the West Agora was the latest of the three agorae of Miletus. Located north of the temple of Athena, it occupied the area which had not been used up for housing purposes during the planning of the Classical city. The south side of the Theatre Harbour was only used during the 2nd century BC for the construction of public buildings, such as the West Agora, the Gymnasium and the Stadium of Eumenes II. The 191X79 metre-area consisted of a huge, rectangular, open-air space surrounded on three sides by a stoa with an Ionic colonnade. The entrance to the open-air area of the Agora was on the east side, accessible through a propylon on the main axis of the edifice. 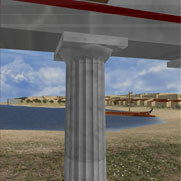 The propylon was erected on a simple crepis, and consisted of two Ionic columns on the east side and four on the west one, towards the interior of the open-air area of the Agora. 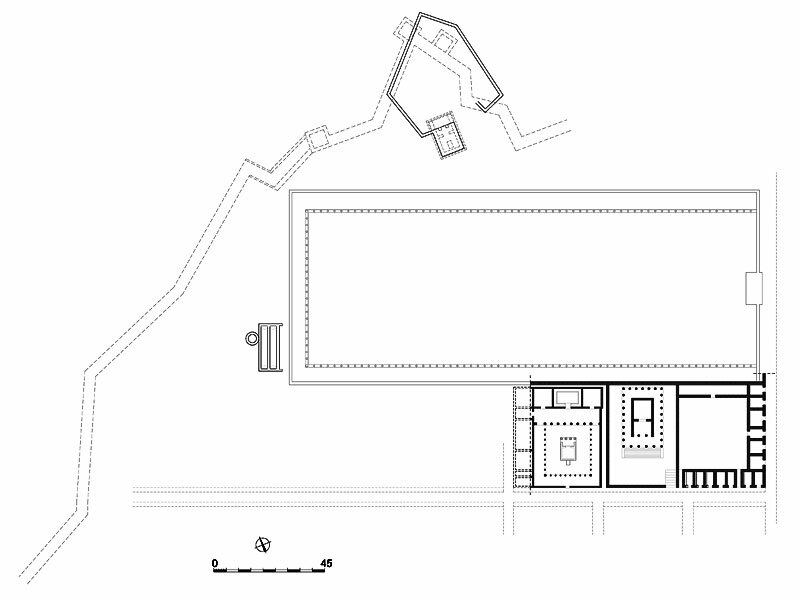 The axial orientation of the propylon of the West Agora conforms to the architectural arrangement of the adjacent Gymnasium of Eumenes II and the Stadium.